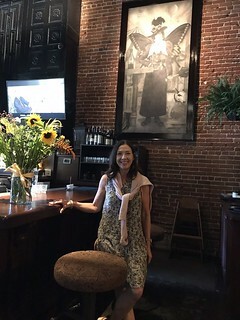 Meet Elizabeth Peterson-Gower, owner and founder of Clayton’s Public House gastropub and cuisine. Born and raised in the City of Angels, Elizabeth found a passion in the hospitality industry early on in her career. 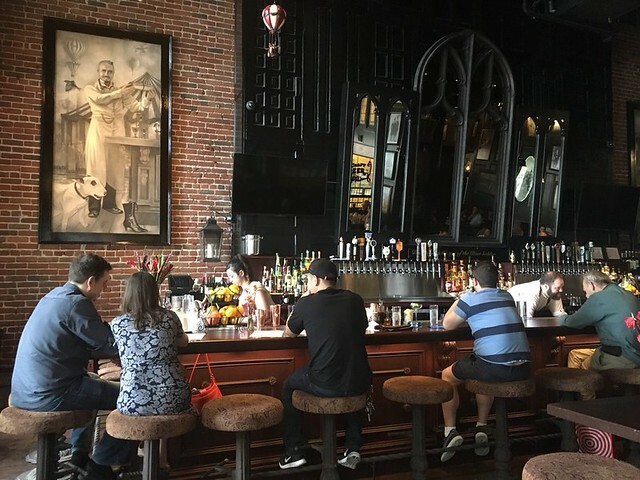 She has a theory that pubs and local watering holes like Clayton’s not only stimulate the economy and create jobs, but also enhance and revitalize neighborhoods in downtown Los Angeles. As a woman with strong conviction and action, she decided to put that theory to the test by opening her own establishment in the city that she is proud to call her own. She was about to embark on a journey that would make a difference in people’s lives. She was fully aware that success was not going to be overnight, but she was resilient and determined. Her journey to business ownership was not always a smooth ride: she needed to convince the government and the community that using hospitality as a means for economic development would prove to be beneficial for everyone. She had to demonstrate that these types of venues would bring back life into the community along with jobs and financial security. She understood that there were difficult times ahead dealing with the many city agencies. Elizabeth decided to take a positive approach and build strong relationships with the city’s departments. She began creating her plan to work with the city’s planning agency, building & safety, local law enforcement, community stakeholders and local government leaders. She overcame the challenges and the struggles through communication and collaboration with key players. The growing pains continued with a delay in the completion of Clayton’s construction, pushing the grand opening date further back. The next step was how to get the restaurant operational. Elizabeth came to our center in May of 2015. She was on a mission to begin her new business, but she wanted to do it right. She wanted to educate herself, and like many entrepreneurs she needed additional funds to complete this task. She received a loan from VEDC and enrolled in workshops and 1-on-1 support at the West Valley Business Source Center, first getting her Employment Identification Number and filing for Clayton’s business license. Opening date was approaching, and Elizabeth was referred to VEDC’s city partners, the Canoga Worksource Center, for assistance in job hiring. She continued to take advantage of the BusinessSource Center resources, attending marketing workshops and preparing for the pub’s opening. The West Valley BusinessSource Center and VEDC are proud to have played an important role in Clayton’s success, and we proudly support Elizabeth in her current and future business ventures. For more information on opening a business in Los Angeles and the surrounding communities, visit vedc.org.